Being a fashion company is not easy, in two ways. First, you have to be careful what to print on your clothing, even when this is meant as decorative artwork. On the other hand, you have to be watchful that your trademark is not printed on products of competitors, under the pretense of – the same – decorative artwork. In three recent decision, Dutch courts have ruled about the use of trademarks in artworks. In the first matter,the Dutch fashion company G-Star Raw objected to the use of one of its main brands RAW. The Swedish fashion giant H&M used the word RAW, among several figurative and word elements on clothing (see image 1). The dispute, which dates back to 2012, came to a conclusion in a 2016 Court of Appeal ruling. 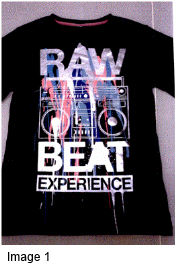 According to the Court of Appeal, the word element RAW has a prominent position on the garment, in particular because it is separated from the other word elements by the ghetto blaster image. H&M’s argument that the word RAW has a meaning was not adopted by the Court. Firstly, the Court ruled that the word can refer to the materials used, but that does not mean that the clothing is ‘raw’. Moreover, as G-Star has used the trademark RAW intensively, it has acquired even more distinctiveness. Striking detail in this case is the Court’s address to H&M’s argument the adverse product are only sold in H&M stores. According to the judge H&M stores also regularly sell items from other brands and designers, such as Karl Lagerfeld and Viktor & Rolf. Consumers could therefore wrongly assume that the clothing in question is made by G-Star. The second matter was again a clash between H&M and a Dutch fashion company, Jeans Centre. 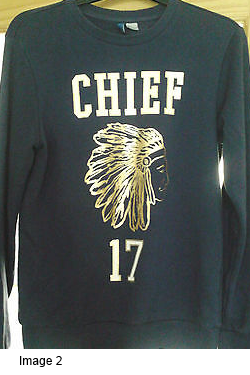 The latter requested the District Court to order H&M to cease all use of the word CHIEF, based on a trademark registration for CHIEF (see image 2). In this case as well, the Court ruled that the word CHIEF was the most noticeable and also independent element, regardless of the additional number 17 and the chieftain figure. And again, the Court dismissed H&M’s argument that H&M only sells H&M clothing, but in this case, on the grounds that the public would not be able to see the H&M label immediately. Of course, it is not only clothing companies who meet each other in court. In a recent summary ruling, the kids fashion company ‘LIEF!’ (translated as either ‘SWEET! or Lovable!’) was confronted with pet accessories on which the words ‘LIEF DIER’ or ‘SWEET/LOVABLE ANIMAL’ were printed, sold by a chain of pet shops. As LIEF! started selling pet accessories under their LIEF! brand two years earlier, they requested the Courts to order the defendant to cease the use of the sign LIEF DIER. According to the defendant, the word mark LIEF! would be descriptive and lack distinctiveness in relation to pet accessories. However, the Court noted that pet accessories may in fact be ‘soft’ and ‘fluffy’, but this does not create a sufficiently concrete connection with the word mark LIEF!. Accordingly, the trademark LIEF! is considered distinctive and valid. Although the sign LIEF DIER was used without the exclamation mark – and notwithstanding the allusive nature of the use of LIEF DIER – the Court ruled that printing the word ‘LIEF’ on the pet products constitutes a likelihood of confusion with the earlier LIEF! trademark and has ordered the defendant to cease its use of the sign. The mentioned cases emphasize the importance of checking any artwork (no matter how allusive it may seem) on clothing and – yes – even on soft and fluffy pet accessories for possible trademark infringing word elements.